The southern state of Mississippi is home to the waterway that bears its name, and which is one of the longest rivers in the country. It is also home to a vibrant culture of friendly people, historic buildings, warm coastal beaches, lakes, and delicious Southern cooking. 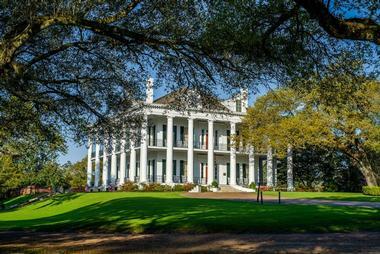 A long history that includes the American Civil War is evident in Mississippi's historic buildings and museums. Visitors to the state can lounge on the beaches at the Gulf Coast, follow the Mississippi Blues Trail for a musical adventure, visit Elvis Presley's birthplace, or enjoy their days fishing on a peaceful lake. Arkabutla Lake, located in northern Mississippi, only about a 30-minute drive from Memphis, Tennessee, is a beautiful and remote location for a relaxing getaway into nature. This reservoir, part of the Coldwater River and created by a dam in 1943, has trails around its shores for hiking and biking, a beach for sunbathing, swimming, and picnics, and a fishing pier for those who want to try their luck catching catfish, largemouth bass, and crappie. 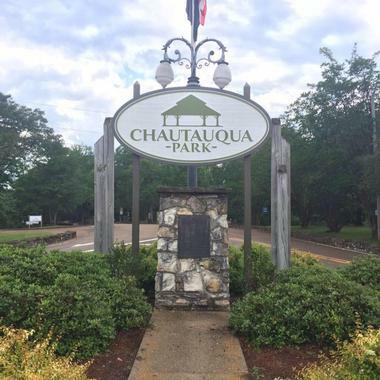 There are also playgrounds for kids, and some beautiful campgrounds where guests can park their RVs or pitch a tent to stay overnight and wake up to the sounds of nature. 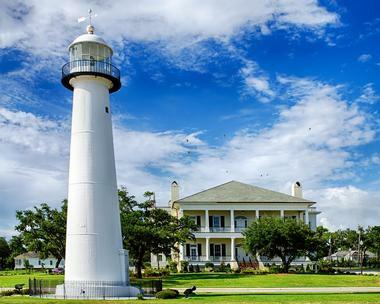 The city of Bay St. Louis is located on the Mississippi coast of the Gulf of Mexico and bears the kind of coastal charm that is perfect for a vacation. Sandy beaches provide a welcoming environment for a day of sunbathing or playing in the sand, and the many piers in Bay St. Louis are great for those traveling by water to the city as well as for those who want to spend their days out on the water fishing, swimming, or water skiing. In the city itself, visitors will find a charming old town area with plenty of shops and businesses and some delicious restaurants. 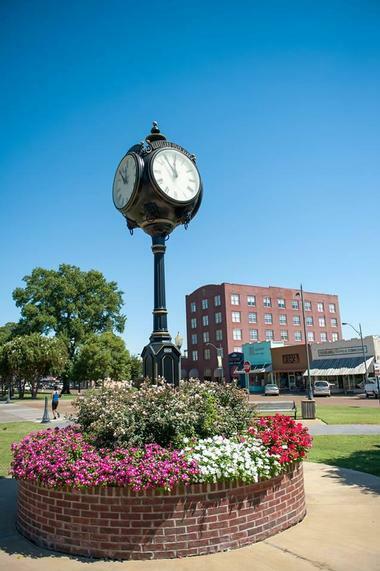 Canton is a beautifully historic town located just a short drive from Jackson, the state capital. On Canton's Main Street, visitors will find a row of historical businesses with the classic tall facades, painted in a rainbow of bright and cheery pastel colors. Many of the buildings in Canton are on the National Registry of Historic Places, so wandering the streets of this small town is like stepping into history itself. 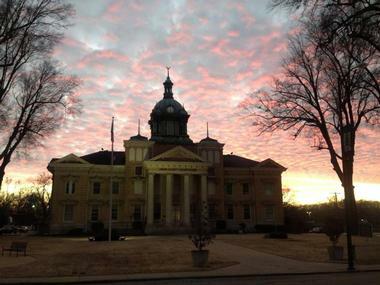 It was a major hub in the Civil War, so there is a large Confederate cemetery and the historic Canton Courthouse. It is also a stop on the Mississippi Blues Trail, and there are several notable music venues in Canton's bars. 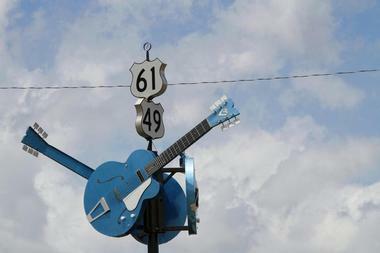 Clarksdale, in the Mississippi Delta, it a major stop on the Mississippi Blues Trail. 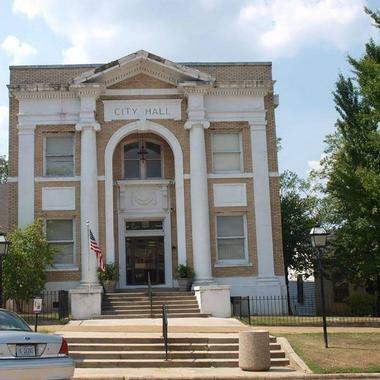 From the 1920s through the 1950s, the culture of music and the blues blossomed in Clarksdale, with a radio station devoted to it and many great artists, including Charlie Patton, Bukka White, and Ike Turner, who called the city home. Today, visitors to Clarkson can check out the Delta Blues Museum for a look at this colorful history, and if they time their visit right, even stay for the Sunflower River Blues Festival. But no matter the time of year, there's sure to be some great live music in Clarksdale's blues bars, such as the Ground Zero Blues Club. Cleveland, Mississippi, was named for former US President Grover Cleveland. It is a stop on the Mississippi Blues Trail, with two markers in town: One on Christmas Street, and one for the noted blues musician W. C. Handy. Music lovers should also check out the GRAMMY Museum in Cleveland, which celebrates artists and musicians from the state of Mississippi. Cleveland is a charming small town with a history in the railroad industry, and today it boasts a friendly atmosphere, great traditional Southern cuisine, and brick-paved sidewalks lined with quaint shopping options and local businesses. The city of Columbus is located just northeast of the Tennessee Tombigbee Waterway, where visitors can go boasting and fishing or walk the many trails alongside the river. 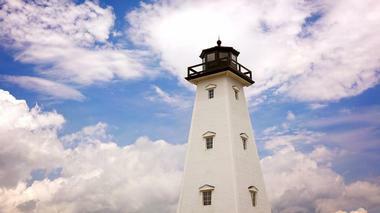 The city itself is very historic, with many houses and buildings that exemplify the Southern architectural style. There are 23 buildings in Columbus on the National Register of Historic Places, including the Mississippi University for Women, which was the first state-funded school for women in America. Columbus was also the home of Pulitzer Prize winning playwright Tennessee Williams, and his home is on display for visitors to explore and learn about his life and works. 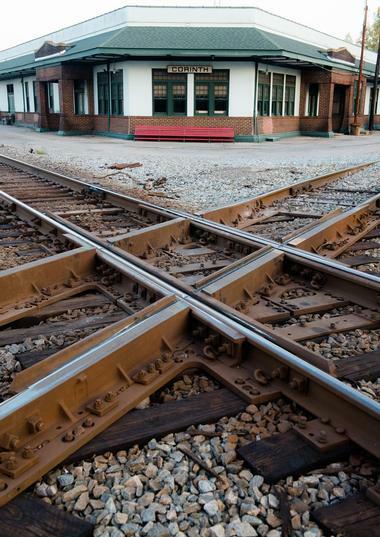 When the city of Corinth was founded in 1853 as a railroad town, it was called Cross City for the numerous tracks that met there. Its Civil War history is rich, as the site to which the Confederate army retreated and the Union army later laid siege after the Battle of Shiloh, and history buffs will find many historic homes and museums devoted to the era in Corinth. The beautifully quaint Historic District in the center of the city hosts antique shops and restaurants in original buildings, even including an old fashioned soda fountain and drugstore, and Fort William and the Veranda House both offer a unique opportunity to learn about Civil War history. Crystal Springs is a small city just outside the state capital of Jackson. This charming place has a small town feel, especially in its historic central district, where old, original buildings are home to shops, restaurants, cafes, and churches, surrounded by parks. Visitors can also check out the library or the Robert Johnson Blues Museum or take a stroll on the tree-lined sidewalks of the residential neighborhoods, which feature many beautifully old houses. Each year during June, Crystal Springs hosts an annual Tomato Festival, with a parade, contests, live music, and a craft and food fair. 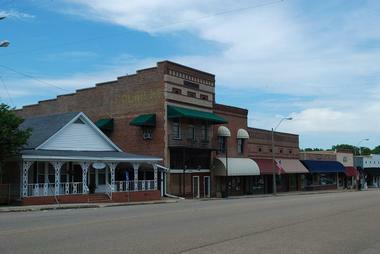 The city of Flora is a small community located just north of Jackson. In Flora, a relaxed small town ambience will charm visitors as they browse its quaint shops and enjoy a burger at the Blue Rooster. Flora is best known as the home of a petrified forest, an ancient place that contains fossilized wood over 36 million years old. A long, shady paved trail will lead visitors through the forest to the Earth Science Museum. In the museum, guests can go fluming in the water to try and find some real gems amongst the "mine muck." The Gulf Islands National Seashore preserves the beautiful land at the Gulf Coast as well as the barrier islands just off the mainland. Beautiful seascape scenery, sandy beaches, and some stunning sunrises and sunsets are just a few of the draws to the Gulf Islands National Seashore. 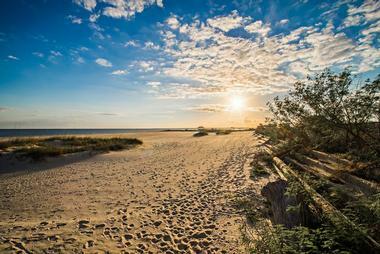 Visitors can take a boat to one of the barrier islands, where they will find historic forts and buildings, or just enjoy the beaches and landscapes of the park and the scenic trails where visitors can go hiking or biking. And then of course, there is the water, which presents a perfect opportunity for kayaking, canoeing, swimming, fishing, and more. Hattiesburg is the home of the University of Southern Mississippi, so it brings with it all the lively businesses and shops found in college towns as well as the upscale atmosphere and entertainment of a major city. 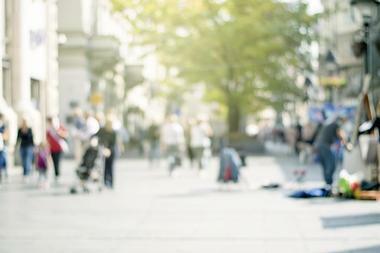 The city has a large music and arts scene, with multiple festivals throughout the year devoted to live performances, crafts, and food. Live music is often found in the pubs of Hattiesburg as well as on the streets. The area began as a hub for railroads, so there is plenty of history to be found in Hattiesburg, including the Longleaf Trace - a 41-mile trail for hikers, bikers, and equestrians that was once a railroad track. 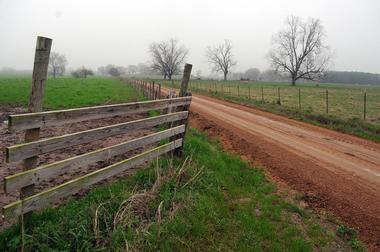 In northern Mississippi, right across the state border from Tennessee, is Holly Springs. This small city began as cotton plantations and was eventually used as a supply store for the Confederate army during the Civil War. Today, the city is home to almost 200 historical homes and buildings of interest, many of which visitors can tour, and it is also home to the Ida B Wells Museum, named for and dedicated to the life and work of a famous activist who came from Holly Springs. The nearby Strawberry Plains Audubon Center offers a lovely respite from the town, with nature trails and educational programs. Livingston's history began in the early 19th century, when it became a thriving commercial town, but after the Civil War, this small community was all but abandoned. The railroads came through Mississippi, but completely bypassed Livingston, so this made it an impractical place to live or do business. In 2006, a developer bought the town of Livingston, which had fallen into complete disrepair, with most of its original buildings destroyed or decayed beyond any use, and began to rebuild it to its former glory. Now, the community is growing again, with the help of its weekly farmers market, which draws visitors from all over the region. New Albany was a mill town built during the early 19th century until it was completely destroyed by fire during the Civil War. 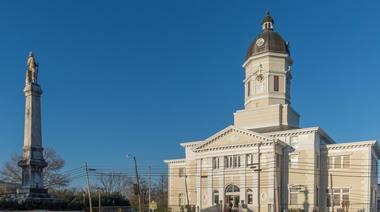 In the 1880s, the railroad brought this community back to life, and today it is a thriving small city that is notably the birthplace of famous American writer William Faulkner, who wrote The Sound and the Fury and won two Pulitzer Prizes for his works. New Albany today is home to the Tanglefoot Trail, a 44-mile-long paved path that was once a railroad track and now is a shady, scenic trail for hikers and cyclists. 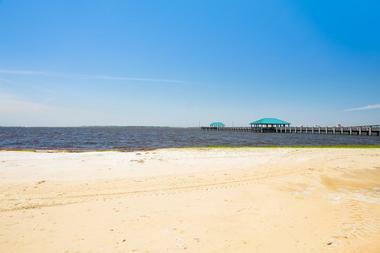 Ocean Springs is located on the Gulf Coast, only a few miles from the city of Biloxi. 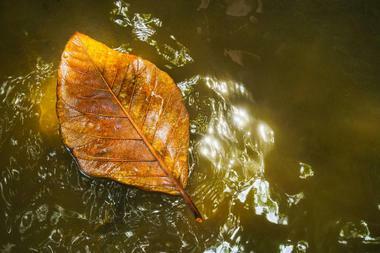 This community is named for the natural springs in the area, and historically was quite a destination for vacationers. It maintains this low-key resort vibe today, with an artsy downtown area that contains lots of galleries and unique shops. 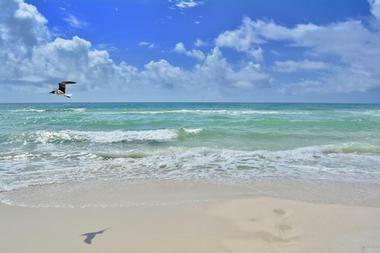 Nature lovers can explore the Fontainebleau Nature Trail before heading to Front Beach to enjoy the warm sand and ocean views. And visitors would be remiss if they didn't try any of the fantastic seafood options offered in town. Port Gibson was founded in 1729 by French settlers, making it the third oldest community in the state of Mississippi. During the Civil War, Port Gibson was spared the fiery fate of many of its neighbors because General Grant thought it was "too beautiful to burn," which is a sentiment that still stands today. Port Gibson is full of gorgeous historical homes and buildings, many of which are now bed and breakfasts where visitors can stay. 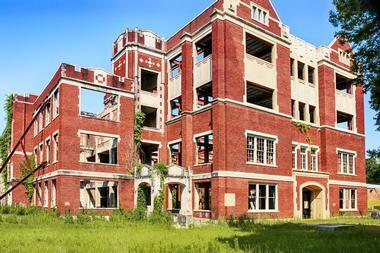 One truly unique attraction in Port Gibson are the Windsor ruins, the notable remnants of what was once a giant mansion. After a fire in 1890 started by an unattended cigar, all that's left today are the pillars, balustrades, and stairs, and it makes for a fascinating sight. A relaxing stay in Ridgeland, located just west of the large and beautiful Ross Barnett Reservoir, is exactly what many travelers are looking for in a vacation. Ridgeland allows its visitors the opportunity to take advantage of the beautiful weather in Mississippi, with bike trails and a strategic location along the Natchez Trace, a stunningly scenic road that follows the same path as a trail that has been used for hundreds of years. And, of course, there's the reservoir, where visitors can sunbathe, swim, kayak, or even rent a sailboat for a beautiful day spent out on the water beneath a blue sky. The town of Tunica touts itself as the South's Casino Capital, and visitors to Tunica will certainly find a jackpot of a good time. Located in the northwest region of Mississippi, Tunica is easily accessible from other parts of the state as well as from Memphis. With a charming historic downtown and a fabulous offering of hotels and casinos, those staying in Tunica will find themselves choosing from more than 14,000 slot machines and over 400 game tables. 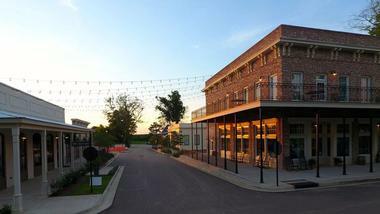 Live musical performances, delicious dining options, and some impressive golf courses only sweeten the deal in Tunica. Tupelo is the birthplace of the King himself, Elvis Presley, and music lovers will find evidence of him all over the city, with plenty of statues of Presley and even his childhood home open for visitors. 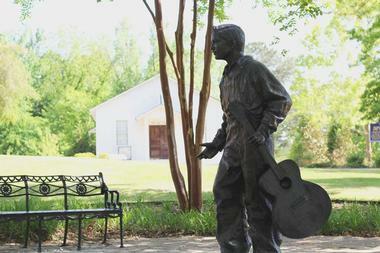 The Elvis Presley Birthplace and Museum in Tupelo is part of a 15-acre park that displays exhibits about Presley's childhood and his career. History lovers will also love the Tupelo Automobile Museum, which displays classic cars from the past century. There is also the Buffalo Park and Zoo as well as the Tupelo National Battlefield, where a Civil War battle was fought in 1864. During the Civil War, the Union army headed by Ulysses S. Grant laid siege to the city of Vicksburg, an operation that lasted months and was a major event during the war. 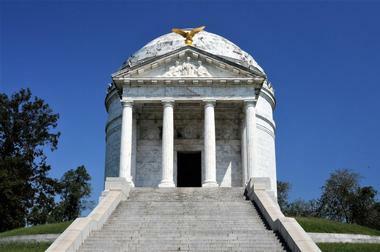 Today, this event is remembered at the Vicksburg National Military Park, which includes monuments, a retired Civil War era gunship, a Confederate cemetery, and a visitors center where guests can watch a documentary on the siege. 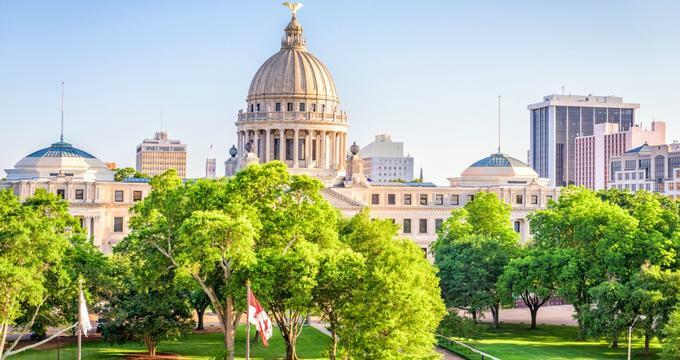 There are a lot of other historic buildings and monuments in Vicksburg in addition to museums like the Lower Mississippi River Museum, the Old Court House, and the Biedenharn Coca Cola Museum.